Despite its relatively wide distribution, very little is known about the Spot-winged Falconet. 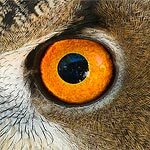 It would be a great study subject for anyone interested in birds of prey! On average, female Spot-winged Falconets are over 8% larger than the males. The Spot-winged Falconet is the only member of the genus Spiziapteryx. 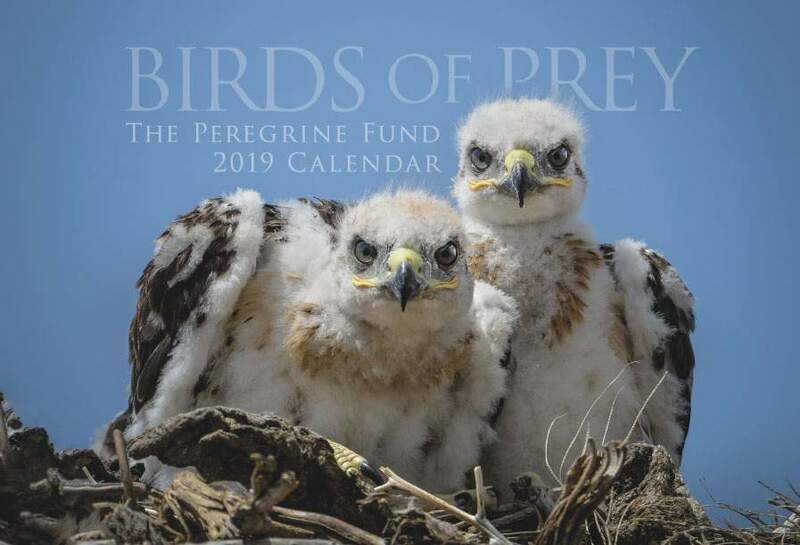 Though The Peregrine Fund doesn't work directly with Spot-winged Falconets, our efforts in scientific research, habitat conservation, education, and community development help conserve raptors on a global scale. We also supply literature to researchers from our avian research library, which helps scientists around the world gather and share important information on raptor conservation. The Spot-winged Falconet is restricted to just four countries in South America: Argentina, Bolivia, Paraguay and Uruguay. The Spot-winged Falconet prefers a variety of lowland habitats including savannas, subtropical and tropical dry forests, shrubland and mesquite forests. The Spot-winged Falcon is a lovely bird. You have probably already guessed that this falconet has spots on its wings! To be more precise, it has white spots on its wings - specifically on its flight feathers and wing coverts. Overall, its upperparts are a brownish-grey and its lower parts are white with dark brown streaking. Its cere, eyes and legs are yellow. The black and white pattern on its face - including a black patch around its eyes, is a little bit similar to that of the Aplomado Falcon, and almost makes it look like the Spot-winged Falconet is wearing a mask. Throughout its range, the Spot-winged Falconet is often associated with Monk Parakeet flocks. This falconet uses the communal nests of these parakeets for roosting , or sleeping. Scientists have even observed parakeets and falconets sleeping together in the same chamber! But that isn't all - some scientists have reported that Spot-winged Falconets also ocassionally predate on the young and even on the adult parakeets. The Spot-winged Falconet has a rapid, medium-pitched call. Thankfully, the Spot-winged Falconet has a relatively large range. It is classified as "Least Concern" - which means that scientists believe that the population of Spot-winged Falconet is healthy and will likely remain so into the future. That is truly good news! However, the potential bad news is that no one really knows very much about this species at all. When a species is not well known, and when it isn't being actively studied, there could be threats it is facing without anyone being the wiser! Very little is known about the Spot-winged Falconet, or about what it eats or how it hunts. Based on observations, however, scientists believe that this species eats a number of different insects, such as dragonflies, cicadas and damselflies, as well as lizards, and even birds. Just as very little is known about the Spot-winged Falconet's diet, the same goes for its nesting behavior. Incredibly, very little information is available about how many eggs are laid, if both the male and female help care for the young, and how long fledglings remain dependent on their parents. There is still so much to learn! What we do know is that the Spot-winged Falconet often nests in occupied and unoccupied nests of the Monk Parakeet - which are large, dome-shaped stick structures, as well as in old ovenbird nests. The World Center for Birds of Prey offers fun ways to learn about birds of prey. Interactive activities, tours, interesting videos and a children's room with activities from coloring sheets to quizzes to costumes are all available to our visitors. We also have several "avian ambassadors" that you can see up close, including several falcon species such as Aplomado Falcon, American Kestrel and Orange-breasted Falcon. 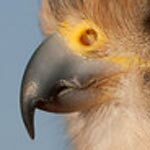 Our knowledgable staff is also on hand to answer any questions you might have about Spot-winged Falconets or any other bird of prey.